And speaking of glorious cover art design, the latest volume of my beloved Bad Machinery is out, and I think it's the coolest-looking one yet. (Plus it features the series' weirdest storyline, and considering the rest of BM, that's saying quite a lot.) 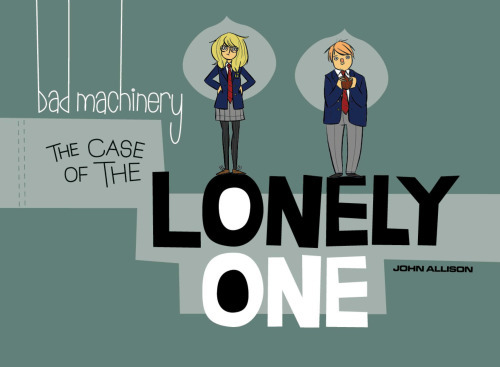 The Case of the Lonely One is totally coffee-table worthy, priced at a very reasonable $19.99, and would make an excellent Halloween present.